Oh, yes! Downsizing begins. Spent the last couple of nights going through about eight boxes in hopes of eventually getting rid of a small storage unit. LOL - threw away listing and buying home documents from 1994, 2004 (two), and 2009. Goodness, why do we think we need this paperwork? First on the docket today, however, was to organize my printing area by my computer desk. 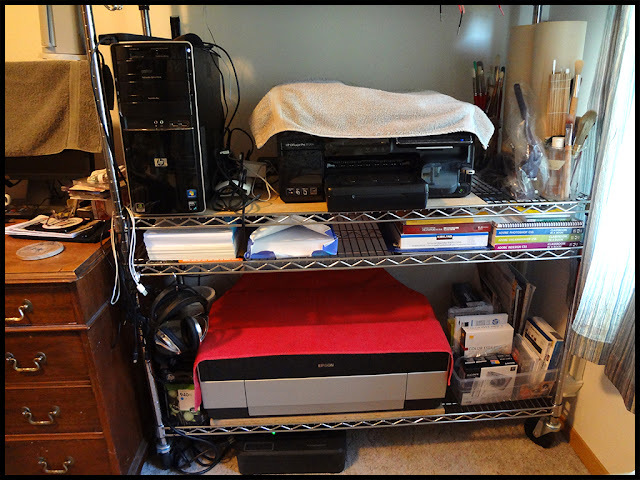 I took my large printer off a rolling cart because I want to use that cart to house my beading instruments and supplies. 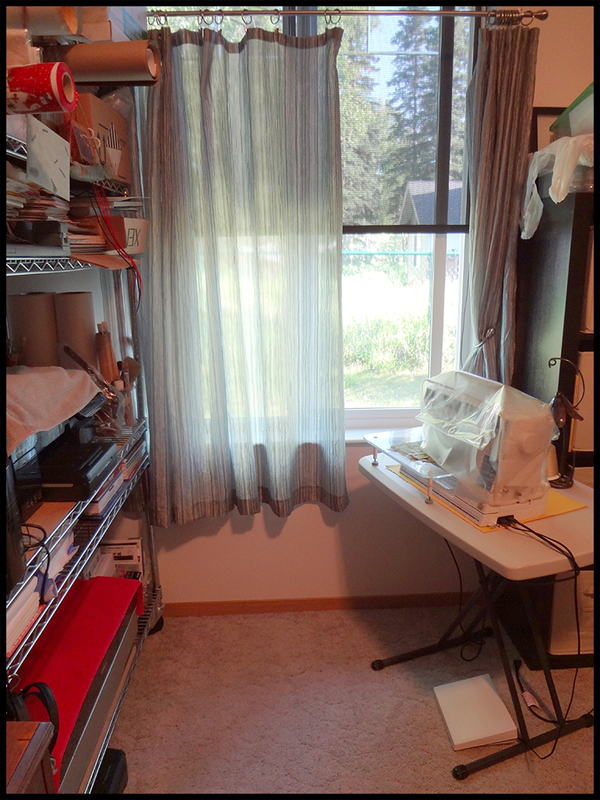 That way I can "roll" my current project to/from my other rooms if I choose and still be able to leave table work and sewing machine up and running. Besides, I now have access to my window, fresh air, and natural light. Still have much to do, of course. I miss my laminate flooring in my home, but will make do. Now to the area above the printer and I will only have one and a half racks to go and my two bookcases. I am jazzed - it doesn't take much! Love the natural light. Really have to clean and organize my work areas. It feels so good doesn't it.....I love your home! I am totally understanding about the reorganizing of your space -- I am knee deep in the same thing here in the Sacred Yarn room. Ugh -- its a lot of work!! You are incredible talented girlfriend -- and so busy it seems! I love your photography too -- you live in such a wonderful place for photos. Im going to be your newest follower and will add you to my blog list -- Im sure there are other folks out there who would love to visit someone who lives in beautiful Alaska! !